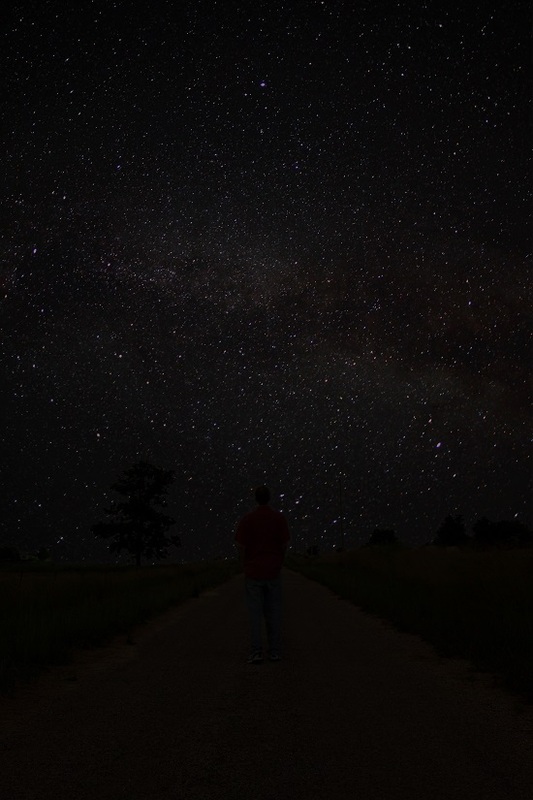 If you’re up late some night, unable to sleep, and find your thoughts wandering, as mine often do, I’ll ask you to close your eyes and imagine yourself on a walk with me on a rural Missouri country road. We’ll talk about our lives, look up at the stars, and reflect on the big questions of the universe. And just if you’re wondering, that really is me walking down a moonlit road not far from where I live. While the world sleeps, I do my best thinking under the stars. Special thanks to my friend Greg for taking the picture.